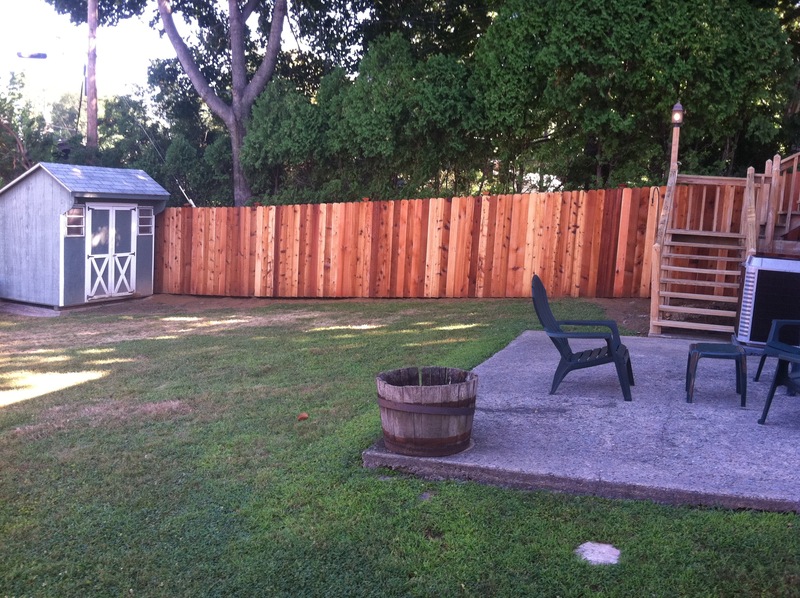 Cedar Privacy fence measures 6’h and is made using Western Red Cedar 1”x 6” dog-eared pickets, 3 cedar 2”x 4” backers per section, pressure treated posts, stainless nails and cedar post caps. 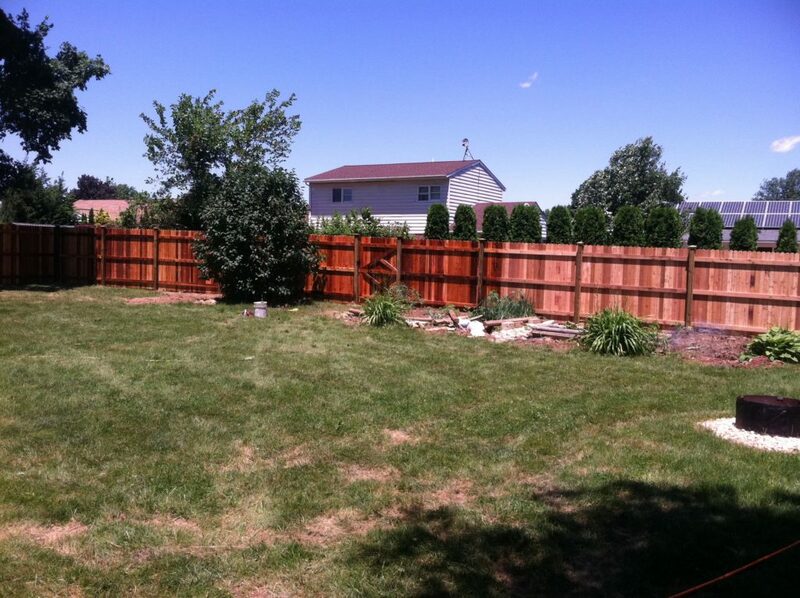 Posts are cut below the top of the fence line for an invisible look on one side and left higher on all other sides. 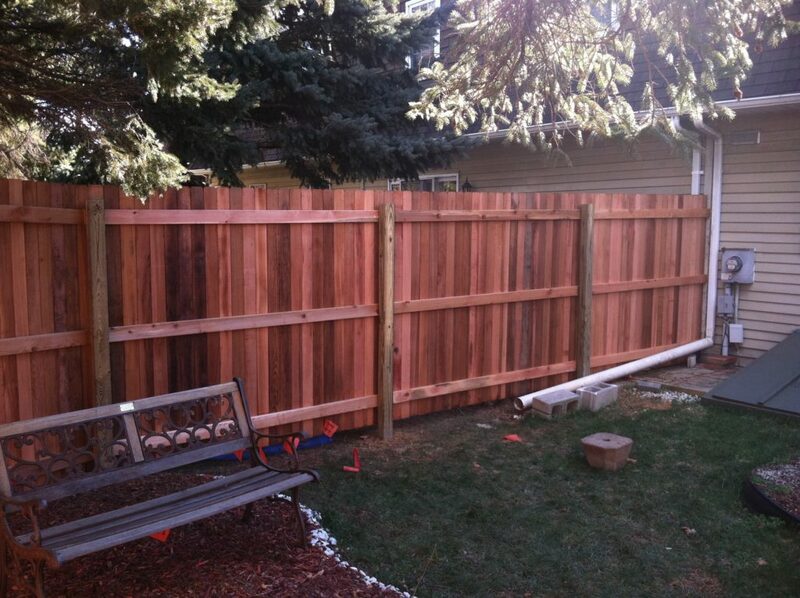 Fence includes one double drive swing gate 8’w. 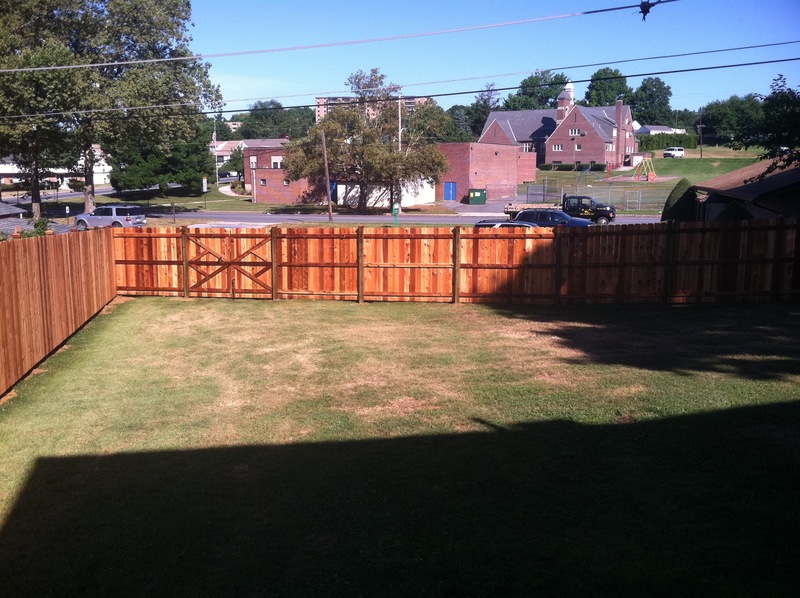 water sealant applied to both sides of the fence after construction. Sections measure 8’w.